Riverside Park is a landmark urban space in the City of Guelph, hosting large city-wide events throughout the year. 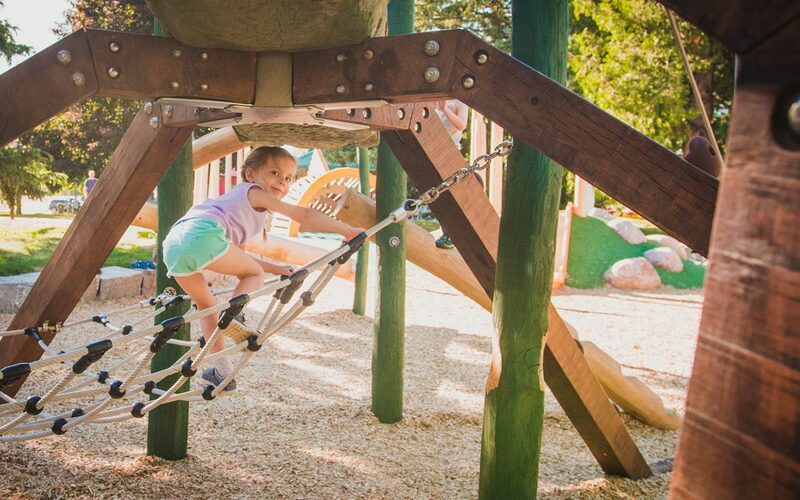 Inspiration for this themed destination playground was taken from the adjacent Speed River. 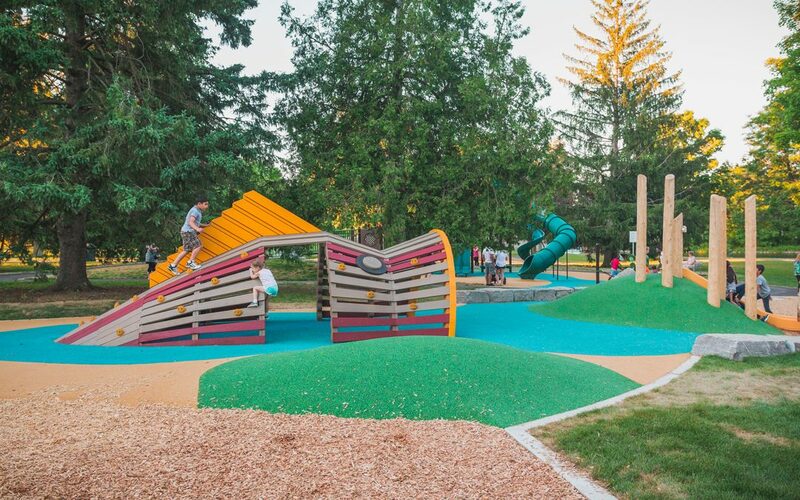 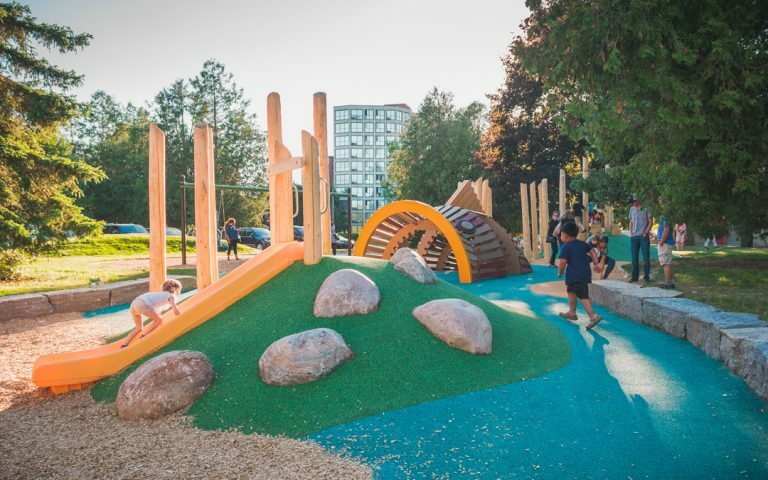 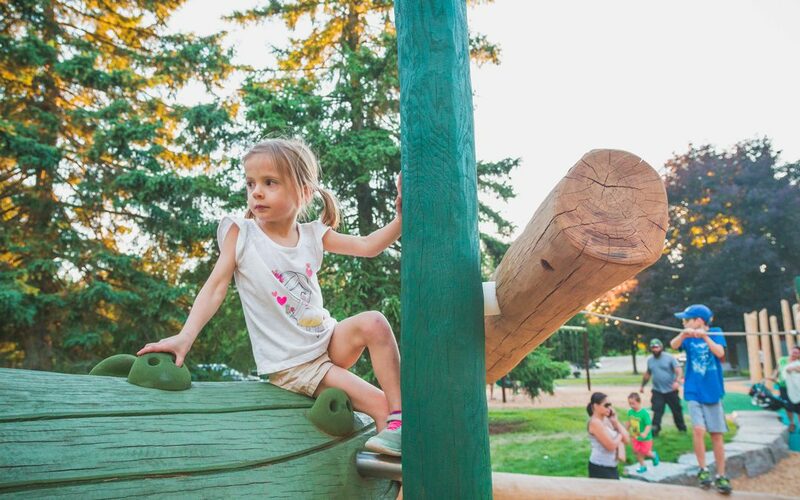 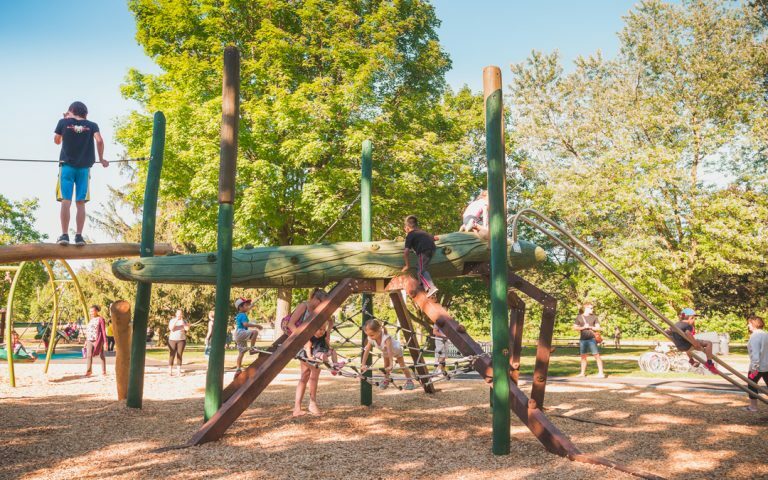 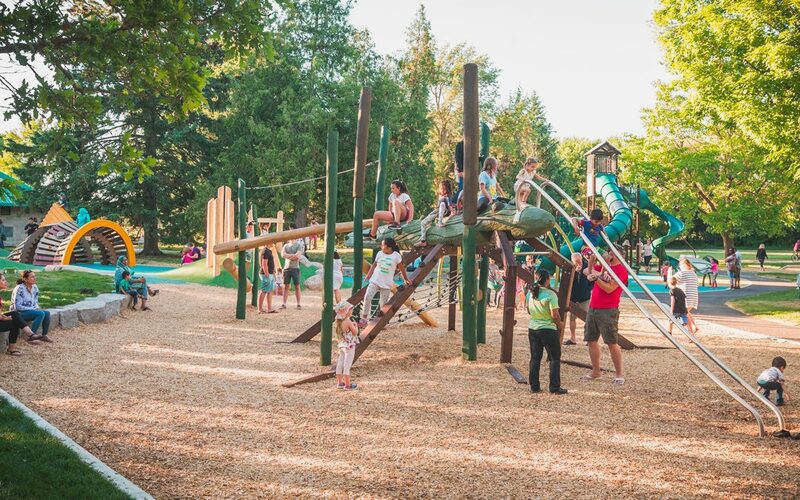 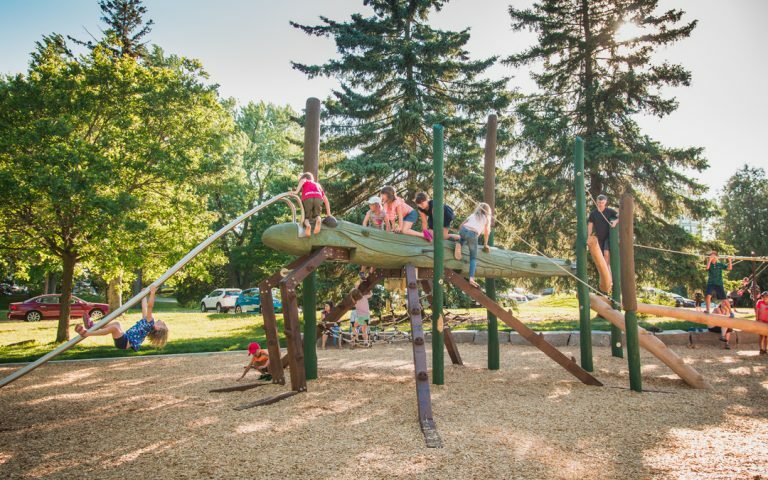 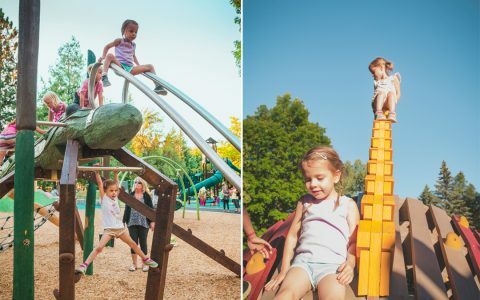 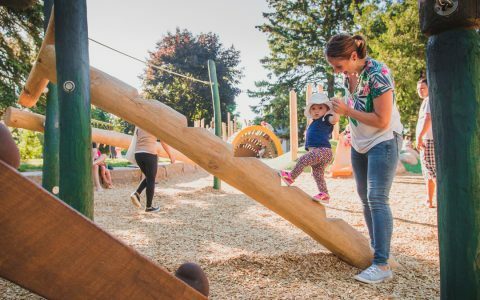 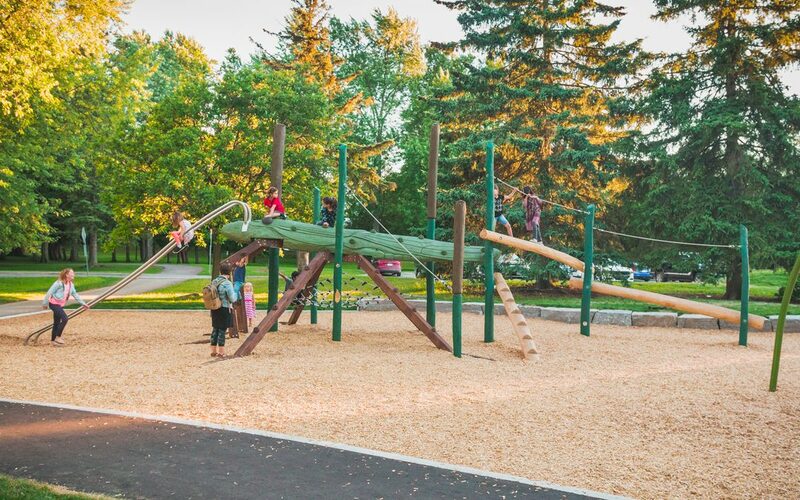 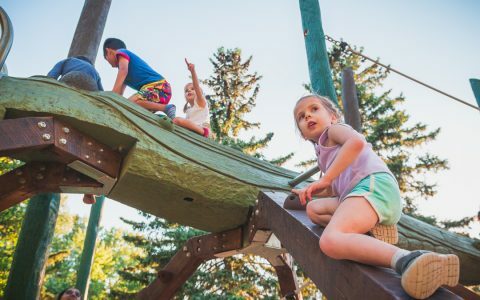 The playground has a unique personality and show-stopping playable sculptures that have quickly become iconic play features for Guelph children. 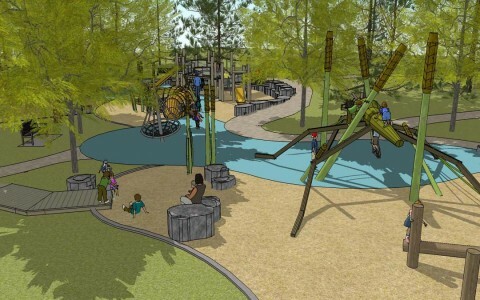 A large water-strider attracts older children who are drawn to climb through and along ropes, logs, and nets to reach the top of the strider body that was hand carved by local artists. A quick escape route is possible from the water strider’s head down the sliding metal rails which resemble antennae. 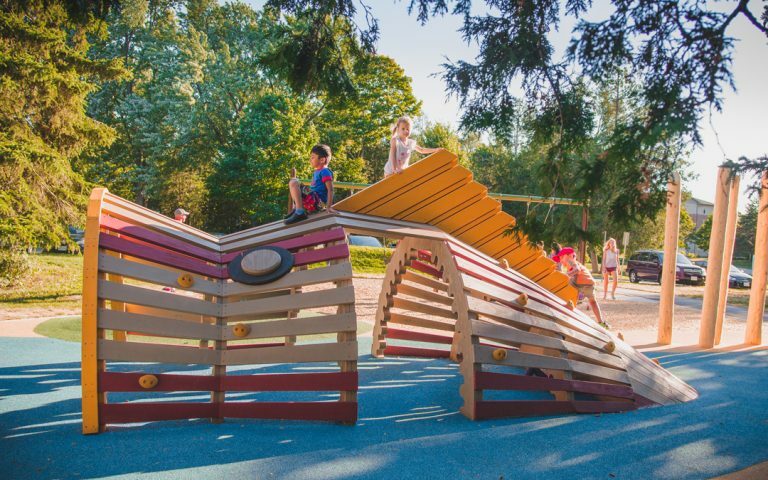 Nearby, a large mouth bass sculpture appears to swim through the river that is demarcated by blue rubber surfacing. 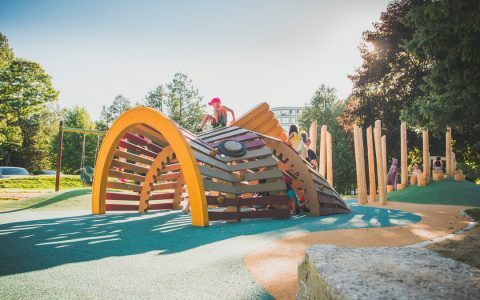 The fish is a whimsical sculpture that offers a lower challenge climbing option to younger children. 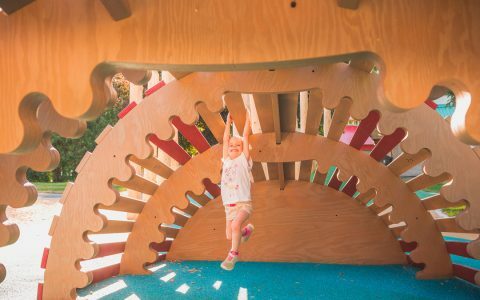 The irregularity of the hand holds and the curved surface require younger children to be thoughtful and intentional while navigating the bass. Inside the fish, children have a great hiding spot for hide-and-seek or a fun place to hang out with friends. 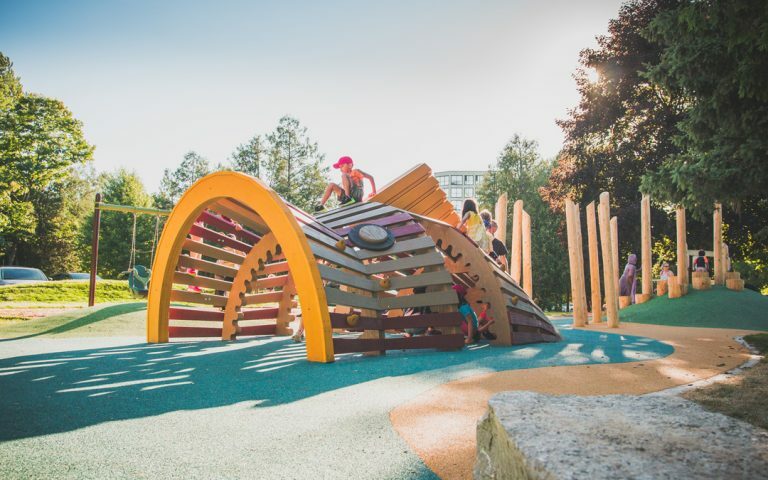 The structure was designed to give site lines to caregivers while still offering the sensation of privacy and enclosed space to children. 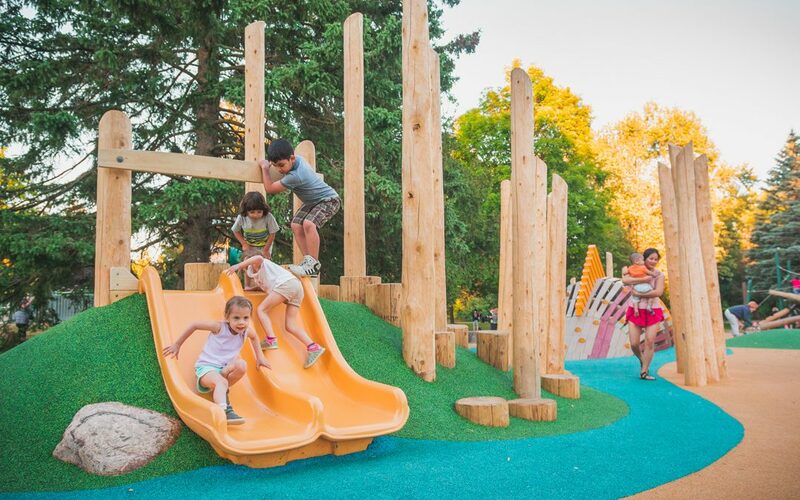 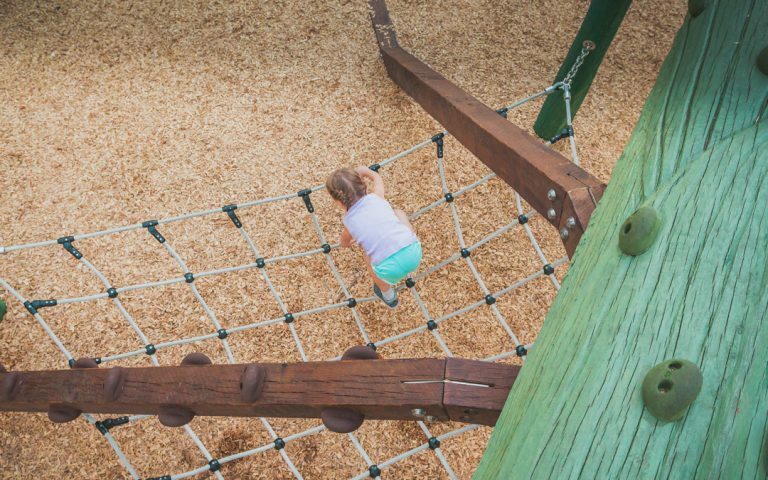 For the youngest children, a small embankment slide provides a space for little ones to develop their gross motor skills while experiencing topographical changes running up and down the gentle slope and navigating among the log reeds.